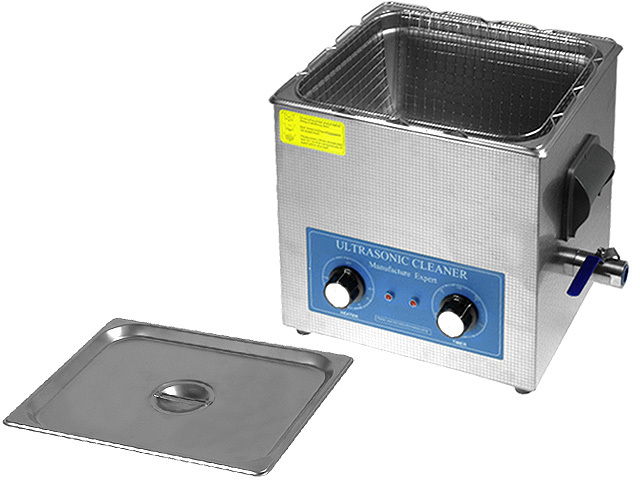 US-1990QT ultrasound washers are portable washing devices. The use of stainless steel enables application of additional cleaning agents that do not react with metal. Devices have embedded clock allowing setting the operation time from 1 to 20 minutes. Internal preheating system enables temperature setting from 20°C - 80°C. Washers are ideal for industrial purposes – they can be used to clean boards and electronic elements from pastes, glues and various chemicals. Capacity of 9l and dimensions of the internal container 300x240x150mm allow to wash considerable - dimension elements.